Soils rich in carbon are healthy soils. 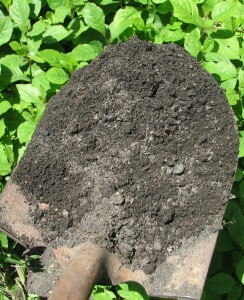 However, climate change and poor management practices can degrade soil carbon stores and, consequently, the soil itself. Dr. DeAngelis will explain why keeping carbon in the ground is important, and how carbon sequestration factors into maintaining healthy soils. She will also discuss the changes that were observed over a 26-year period in a long-term climate change field experiment in which soils were heated 5 degrees C above ambient temperatures. Along with a look at the science, Dr. DeAngelis will suggest ways in which we can make changes in our practices to increase carbon storage in the soil. Kristen DeAngelis, PhD, is an Assistant Professor of Microbiology at the University of Massachusetts Amherst. She has trained in soil microbiology and soil ecology at the University of California Berkeley and the Lawrence Berkeley National Lab, and has worked on tropical rainforest, temperate forest, and grassland soils. Unlimited available	 Member Ticket: Keeping Carbon in the Ground: A Scientific Exploration of Climate Change and Soil Health Free Presented by Kristen DeAngelis, PhD. Unlimited available	 Non-Member Ticket: Keeping Carbon in the Ground: A Scientific Exploration of Climate Change and Soil Health $10.00 Presented by Kristen DeAngelis, PhD.